I don’t think it’s a common phrase to say: I am in love with my vacuum! If you haven’t said that yet, then it might be time to take a step into the future. We will compare the best Roomba vs Samsung robot vacuums. Since there are cheap and expensive versions of both iRobot Roomba and Samsung, we’ll split this comparison into two price tiers: a more affordable price point and the high-end models. We have dug through a painful amount of robot vacuum information to put this review together. After lots of research, we finally narrowed it down to these 4 vacuums due to their high Amazon ratings. Once we selected these vacuums, that’s where the research really began. As you can see in our chart above, there are plenty of differences between each vacuum. We’ll dive into the differences more below. First, let’s start off comparing two great robot vacuums that won’t break the bank: iRobot Roomba 650 vs Samsung POWERbot R9000. Neither one of these vacuums will connect to an app or Alexa, so they are more of budget options than a smart home gadget. Most people will be familiar with the Roomba since it has been around longer than Samsung’s robot vacuum. You might have even seen it on Parks and Rec. We will compare the size, cleaning power, filters, and cleaning methods for these cheaper iRobot Roomba vs Samsung models, before choosing a winner between each model. Winner: Roomba 650. Roomba wins this category because it can get under low furniture. One of the big annoyances with robotic vacuums is when they get trapped trying to wedge their way under furniture. The Roomba accounts for this with its shorter height. POWERbot’s larger height and width make it more bulky overall. The reason why it’s larger is that it has a camera, larger vacuum, and bigger dustbin (which is a perk since it means less emptying). If you want a shorter Samsung vacuum, look into the VR7000 which is much lower in height. Roomba does have a side brush, which makes getting the corners and sides a little cleaner. Winner: POWERbot R9000. POWERbot has CycloneForce, which means it’s as powerful as a full-size vacuum. Samsung claims that it’s 10x more powerful when you compare Roomba vs Samsung. The brush underneath is also much larger so it can clean faster. However, the Roomba does do a better job at cleaning the corners and the spots near the wall with its side sweeper, which is not offered by the POWERbot. Winner: POWERbot R9000. Samsung POWERbot wins because there’s no doubt that buying replacement filters is a major pain. Even though the replacement filters are not very expensive, it’s just one less thing to worry about or add to your budget in the long term. Winner: POWERbot R9000. Samsung has the edge here because their robot vacuums don’t run into objects. You also can manually control the POWERbot with its remote. This is a huge advantage and seems like something that should be included with the Roomba. If you have a dirty spot, it’s much easier to use the manual controls on the remote rather than wait for the Roomba to discover where the dirt is. Roomba does have scheduled cleaning, but that doesn’t overcome the fact that it’s annoying to watch TV while the Roomba runs into your foot since it is known for bumping into everything. It even left marks on the baseboards of one Amazon reviewer. Our pick for the best affordable robot vacuum in the Roomba vs Samsung comparison is the POWERbot R9000. While the POWERbot doesn’t have as positive of Amazon reviews as the Roomba 650, its price is much lower. If you can get it to reliably work for you, then it will save you quite a bit of money. Add in POWERbot’s advantages like stronger suction, visionary mapping, and the washable filters and you can see why we picked this as our favorite affordable vacuum. If a lower clearance or having scheduled cleaning is a must, the Roomba 650 is still a great choice. It has the strong Roomba brand behind it, and user reviews make it clear that this is a favorite vacuum for many homeowners. The Roomba’s strong reviews and reputation make it a safer buying decision since it’s less likely to die on you after a few months. If you’re willing to spend a little more for extra features, then this section is for you. The higher end models are the same size as their lower end siblings and use the same type of filters (POWERbot’s are still washable and Roomba’s are not). By paying more, you will see even more luxury features that make life easier and your home cleaner. Here is a comparison of the Roomba vs Samsung high-tech versions. 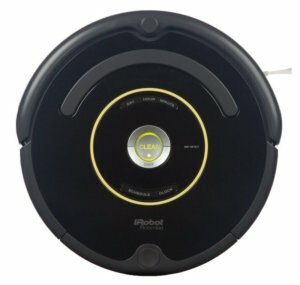 The models we will be comparing are Roomba 980 vs POWERbot R9250. The Roomba 980 usually retails around $700, while this version of POWERbot is $600. We’ll help you decide if you should spend an extra $100 on the Roomba over the Samsung. Both vacuums have some kind of mapping or visual localization to help them transition between rooms, while ensuring that they cover the entire room. Winner: Roomba 980. 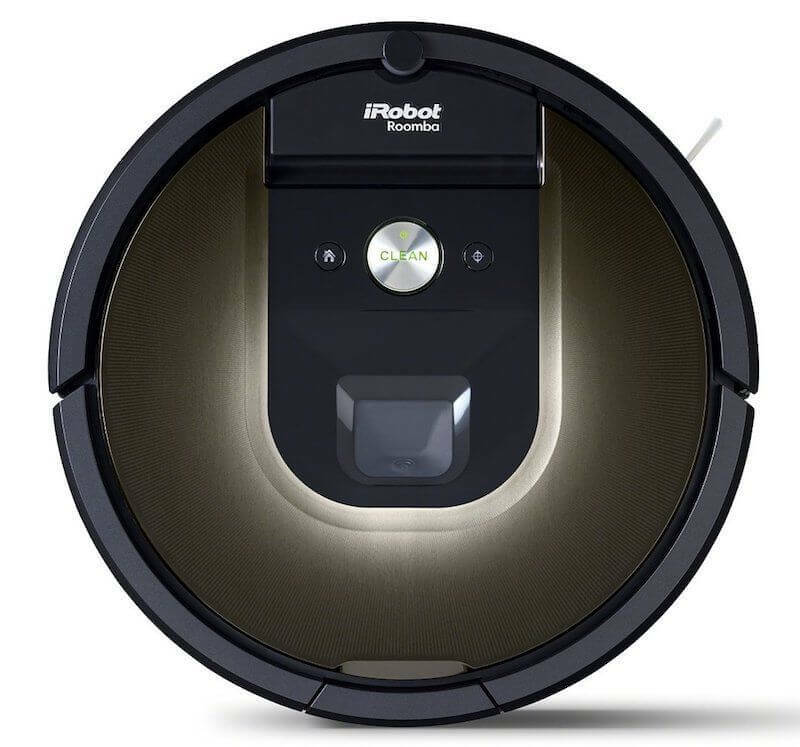 With a longer run time before recharging, the Roomba 980 can clean your home longer and more thoroughly than POWERbot. It cleans really well on carpets and has advanced dirt detection. Just like the cheaper model, this Roomba has special dirt sensors that can recognize areas that are more dirty. It automatically takes more time cleaning those spots extra thoroughly to ensure all of the dirt is picked up. 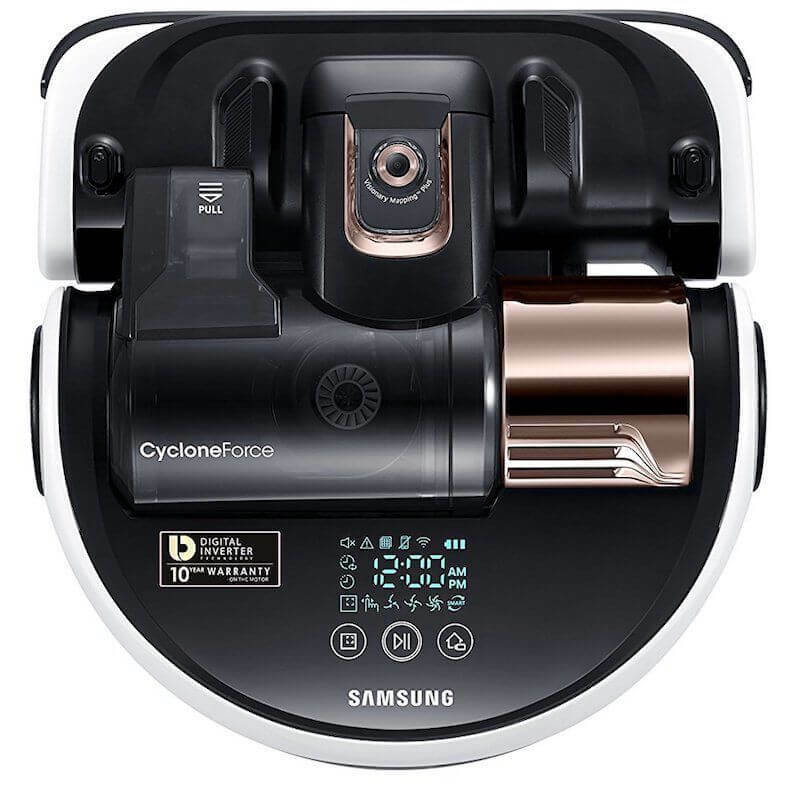 Between Roomba vs Samsung, POWERbot has a much stronger suction, which will help your floors get much cleaner in an efficient way. You may find that for your home, the 60 minute run time isn’t a deal breaker. Since both of these can continue to clean where they left off after charging, the runtime may not affect performance overall. Both vacuums give you app controls if you want to use your phone to start/stop/or manually drive either vacuum. You can also schedule them using the apps. The major difference comes in terms of app quality and performance, and we note this for each vacuum below. Both vacuums are compatible with various smart home technology and have other advanced features worth paying attention to. The iRobot Home app is highly rated, reliable, and has lots of features. You can even view statistics of cleanings and edit carpet boost using the app. No laser pointer technology to direct your Roomba. There is also no remote included. Samsung’s Smart Home app has very low ratings and is known for have reliability issues. While it has some interesting features like changing the suction power within the app, that’s only if you can get it working in the first place. Use the laser pointer included on the remote to command the R9250 where to clean. Winner: Roomba 980. The POWERbot is a little disappointing when it comes to smart technology since the app barely functions. Roomba is easy to control using their highly rated apps. Either robot works with Alexa and Google Assistant, although I’d bet on Roomba being easier to setup and use since clearly POWERbot has software issues. If you’re able to get the POWERbot app working, then that adds a lot of functionality since it also comes with a remote. The remote’s built in laser pointer to add extra control for the vacuum. This really comes in handy when you have a spill. The Roomba 980 has better cleaning and smart technology than POWERbot R9250. It can run for twice as long before needing to recharge, and also detects dirt to know where it should clean more thoroughly. The iRobot Home app is highly rated and easy to use, so you can be confident in controlling your vacuum with your phone, Alexa, or the Google Assistant. We included the Roomba 980 on our list of 50 smart home gift ideas, because anyone would love a high-end smart vacuum. POWERbot’s stronger suction is an enticing advantage. It’s also really cool that you can use the laser pointer to clean, making dirt and dust cleanup much easier. These reasons, in addition to its lower price, are why you may want to choose POWERbot over Roomba 980, if that’s your preference. These comparisons are just to get you started when deciding which brand of smart vacuum you want. 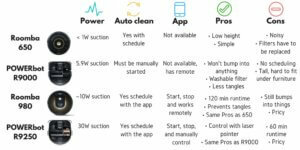 Comparing the iRobot Roomba vs Samsung robot vacuums brings up plenty of other factors to consider. For example, Roomba has been around for a long time and has a stronger brand, which can translate to stronger customer service. But the Roomba can also get stuck on a dark pattern in the carpet because it thinks it’s an edge. Samsung’s cheaper vacuums make a compelling argument for your money, but they may also run out of battery faster because they are more powerful. 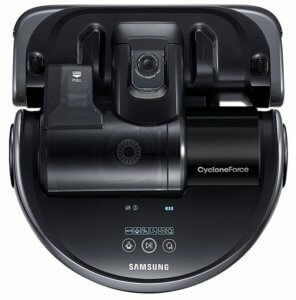 In the end, if I was looking for a budget vacuum between Roomba vs Samsung, I’d opt for Samsung since it’s so much cheaper and still has impressive cleaning features. For a high-end, smart vacuum between these two options, Roomba would be my pick since its app and smart home controls are way more robust for just a little extra money. This comparison doesn’t even scratch the surface on other smart vacuum brands out there, including Neato and Deebot. 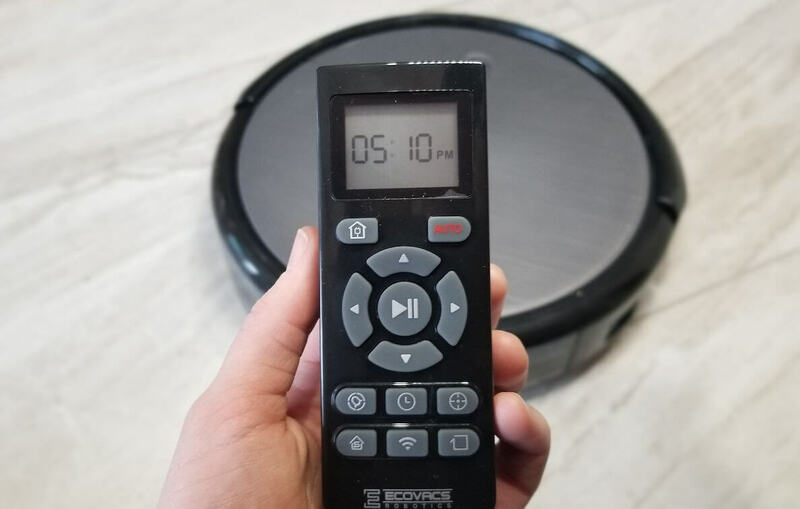 We tested and reviewed the Deebot N79 hands-on and found it to be another great option for a cheap, basic robotic vacuum. We’ve used it for almost a year without too many issues. Whoever you prefer between Roomba vs Samsung vs some other vacuum, we can all agree on one thing: having a robot vacuum your home for you is life-changing. Which robotic vacuum do you prefer? Let us know in the comments below! Thanks for this thorough review! It really helped with our decision. I was surprised to look at the top of the article and see that someone I know wrote it! Great website! I’m glad you found it helpful! Good to hear from you and thanks for letting me know you stumbled across this. Have returned the Roomba 980 twice due to it not docking correctly. It does an okay job but I felt I had to run it much more. The Samsung powerbot R9250 is confusing so it will take a bit to get use to it but I love the pointer feature and it is much stronger. Even though it is 400 more I would say I like the Samsung powerbot better overall. The battery life is shorter than the Roomba which is a bummer.